Many of my young students love nonfiction. They're fascinated to learn real facts and quickly learn just where their favorite books are. 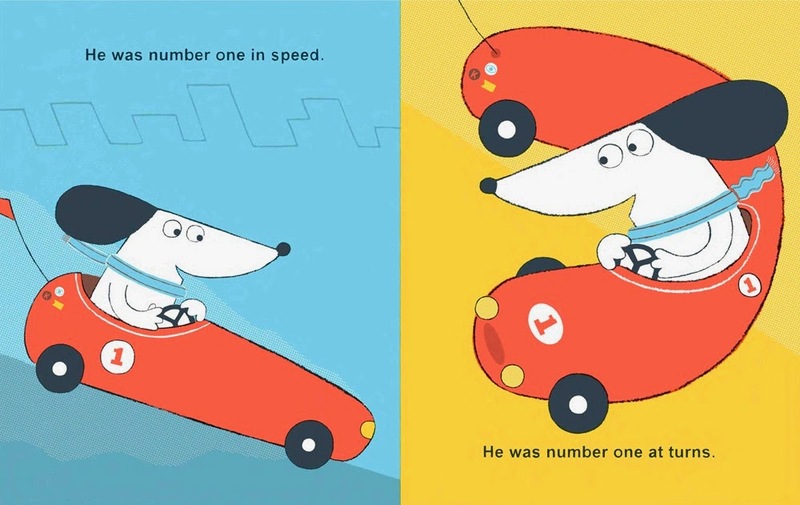 Here are two nonfiction books for kids who love fast race cars. Share this either with a three year old who doesn't like to sit still for long stories, or a kindergartner just beginning to read. They'll love the bright photographs and clean design. For kids who want more info, but like learning about lots of different car models, try My Big Fast Car Book. This book will draw in readers who look out the car window and tell you each car model that passes. 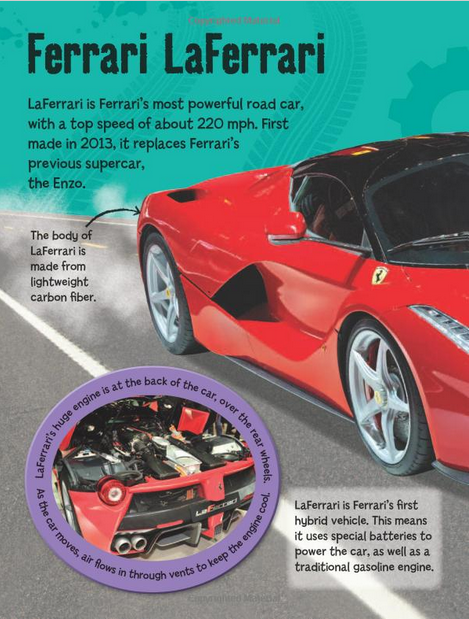 Kids will learn about the LaFerrari, the Bugatti Veyron, stock cars and more. Each double-page spread has one large photograph of the car, with bite-sized facts surrounding it. The details make this more appropriate for a first grader listening to an adult read it aloud, or a reader who already knows a lot about racing. The language is actually quite complicated, probably too complicated for a preschooler to understand. But they'll love the pictures and learning the car names. 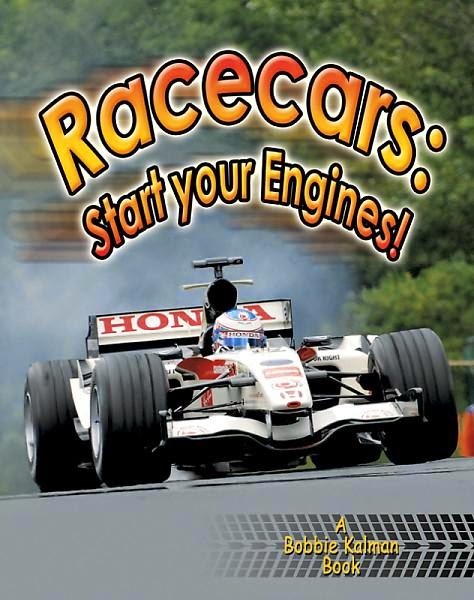 If you're looking for a good over-all introduction, check out Race Cars: Start Your Engines! Race Cars: Start Your Engines! Although it gets off to a slow start, I think this book will appeal to kids who want to learn more about what makes some cars faster than others. 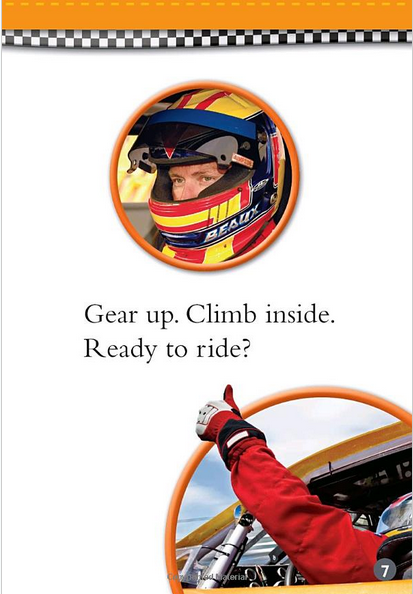 The first sentences have no kid-appeal: "A racecar is a vehicle. A vehicle is machine that moves from place to place." Any kids who wants to read this book will know that already. But the text picks up speed from there. 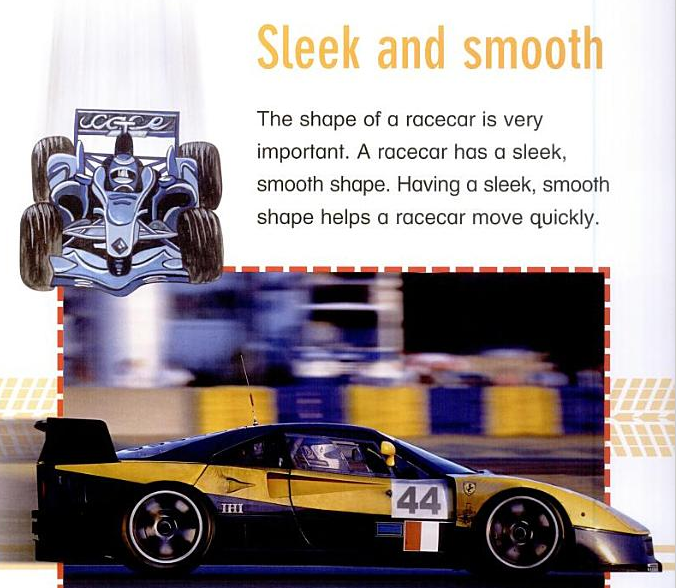 Here's a section that talks about the shape of a race car. I particularly like the design of this book. The diagrams, labels and captions draw kids into the content and do not overwhelm the reader. For example, after the section above on the shape of the car, there's a subsection on wings that help the race car move quickly and keep low to the ground. Other chapters cover topics such as Indy 500 cars, Formula One cars, dragsters and go-carts. If you like sharing nonfiction picture books with kids, definitely head over to Kid Lit Frenzy, where Alyson Beecher hosts the Nonfiction Picture Book Challenge every Wednesday. This week, she's sharing Sniffer Dogs (on my must-read list! ), and you'll see links of all sorts of nonfiction books teachers and parents love sharing with kids. Kids love racing against each other -- but how do we help them learn to have fun racing without hurting their friendships? It's a delicate line that kids, especially competitive ones, need to learn. Here's a book you'll love sharing with your kids, because it will make them laugh, but it will also help them think. 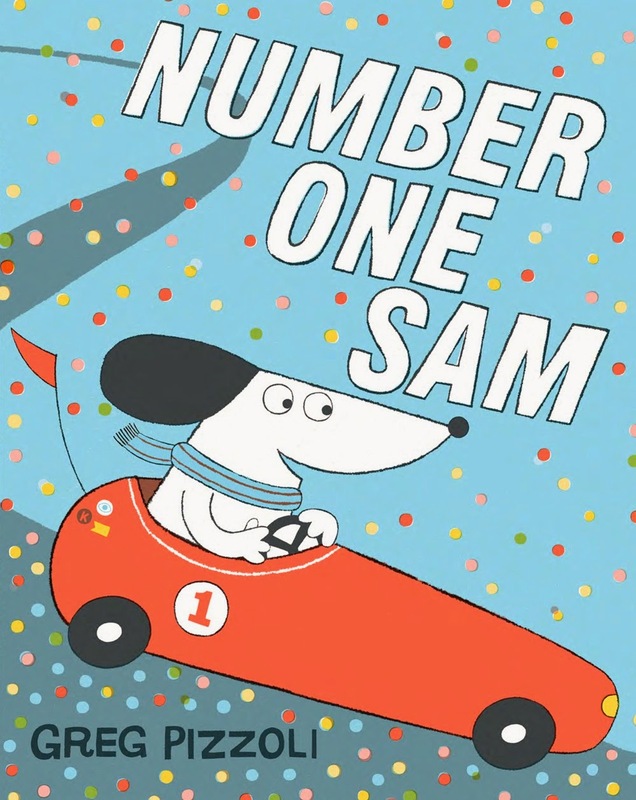 Sam is the number one racer, always coming in first place. Just look how happy he is racing around the curves -- he's a guy that kids will love cheering on. I love Greg Pizzoli's artwork, full of dramatic lines and curves, but imbued with such bright, happy colors. But one race day Sam's friend Maggie comes in first place, and Sam is devastated. "The night before the next race, Sam didn't sleep one wink." Little kids will know just how nervous he is. Sam works hard not to be a sore loser, and to do his best to win the next day. Pizzoli throws a delightfully unexpected twist in the story--Sam is driving his best, passing all his friends and confident that he will win the race again. But, oh no!! !, he sees five adorable little chicks crossing the road. but would the other racers see them in time?" 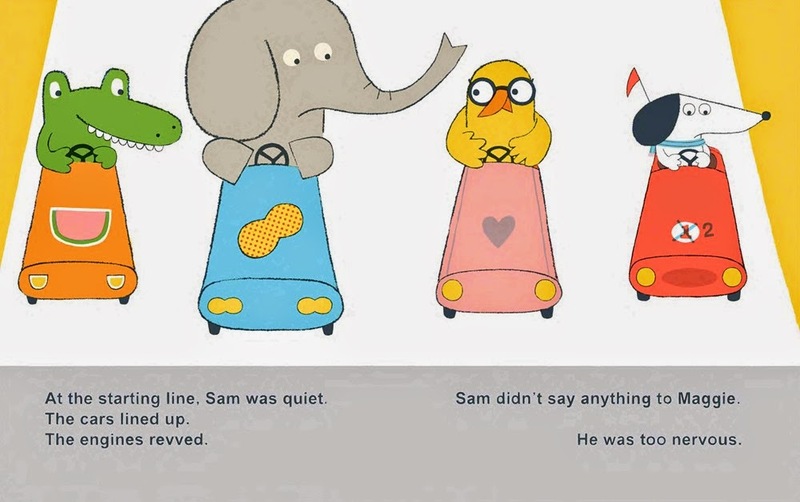 I can't wait to read this to little kids and see how they react to Sam's dilemma! Pizzoli creates a situation that kids will be able to relate to: how they can be competitive but also good friends. What makes this book so great is that it will help families share an experience and create conversations. And Pizzoli does this while keeping the story trimmed down to its essence: dynamic yet spare, easy to read yet captivating. "No. 1 takes on a whole new meaning. Pizzoli’s story is a simple class act. Do the right thing—you can’t lose, ever. And most of the time, the right thing is no great philosophical conundrum but as clear as the checkered flag. A polished work, from the words to the finish on the race cars." Number one in my book. I'll be sharing this with our kindergarteners as we talk about what it means to be a friend. The review copy was kindly sent by the publishers, Disney Hyperion Books. If you make a purchase using the Amazon links on this site, a small portion goes to Great Kid Books. Thank you for your support. Do you know any kids who love, love, love race cars? I grew up with one -- my youngest brother loved race cars so much, his summer dream job in high school was working on the crew of a race car team. So this week, I'm sharing fabulous books for race car lovers--especially little kids whose eyes go wide at every fast car. I'll start by sharing a video and experience--because books really are just one way to share an experience, to open kids' imaginations up wide, to create conversations. 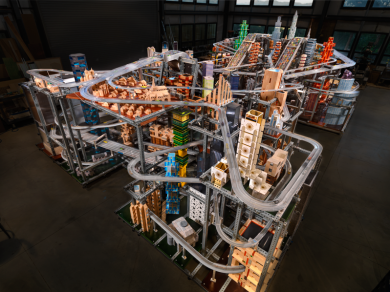 Chris Burden's Metropolis II is a room-size sculpture made of an intricate system of model cars and trains zooming through a maze of highways in a model city. I tried taking pictures, too, but since the essence of this exhibit is how the cars ZOOM through the maze of freeways, a still picture just can't recreate the experience. Watch the video below, and let me know what you think. "Steel beams form an eclectic grid interwoven with an elaborate system of 18 roadways, including one six lane freeway, and HO scale train tracks. Miniature cars speed through the city at 240 scale miles per hour; every hour, the equivalent of approximately 100,000 cars circulate through the dense network of buildings." If you want to learn more, check out this video and interview with the creator: Metropolis II, by Chris Burden. Do you have any favorite things to do with race car loving kids? Every time we visit Disneyland, I insist that we go on Autotopia. Are there other video clips you would show to get kids thinking of all the things they could build or race? 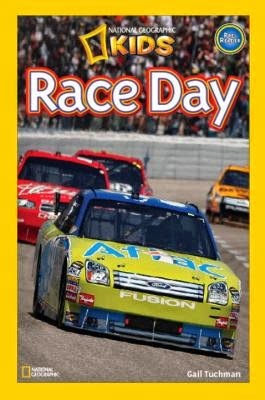 I hope you enjoy the race car books I'll share this week. Come back tomorrow for more zooming fun! Oh how I love summer, especially the chance to see friends I don't get to see often enough. I spent the day yesterday visiting with Helen Huber, terrific librarian from Cathedral School for Boys, sharing book after book with each other. We walked down to Mrs. Dalloway's Books and each ended up with several books. 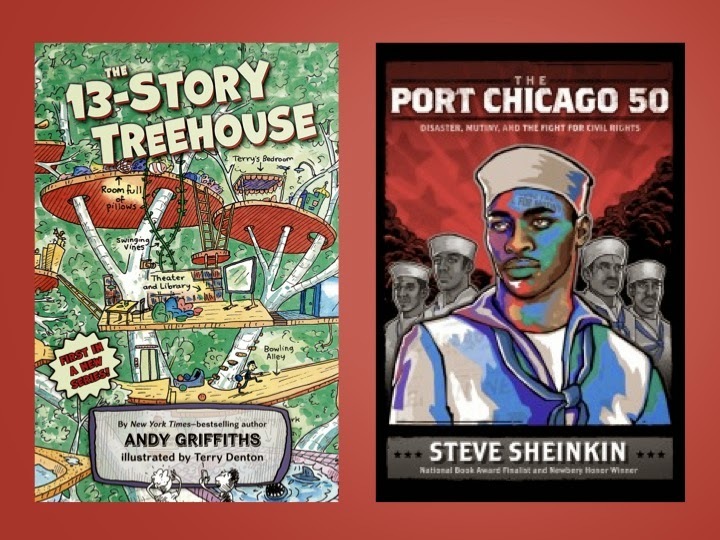 I recommended two favorite books to Helen: The 13 Story Treehouse and The Port Chicago 50. The cutest moment was watching two eight year old girls sitting near the chapter book section, sharing their favorite books with each other. They pointed out which Judy Moody books they had each read. 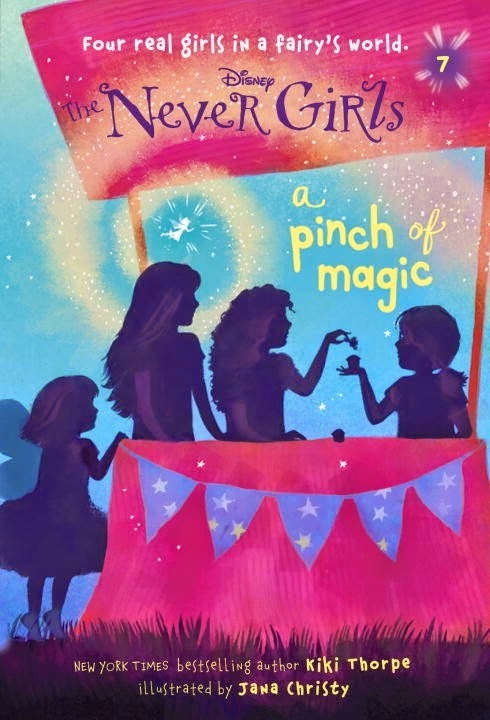 One was excited about the new Never Girls book that was out, about Tinker bell and the Disney fairies. Here are two books which Helen recommend that I would love to get copies for myself. I have only looked at them briefly, so I can't give a full review. But they looked wonderful. 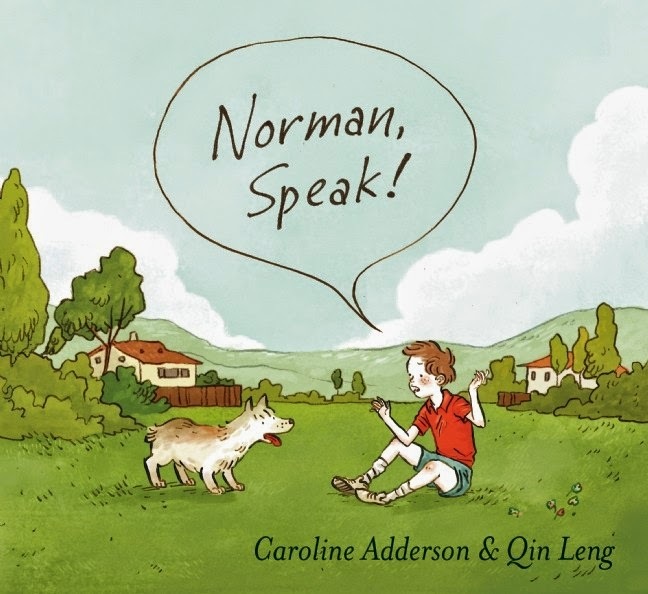 When a young boy adopts Norman from the pet shelter, the boy can't figure out why his new dog can't understand anything he's saying to it --- until he's at the park and Norman runs up to a man who's calling to his own dog in Chinese. I adored the sweet, unexpected turn of the story, as the little boy and his family decide to take Chinese lessons. I love the way that Manning and Granström use a cartoon approach for this biography of the Beatles. 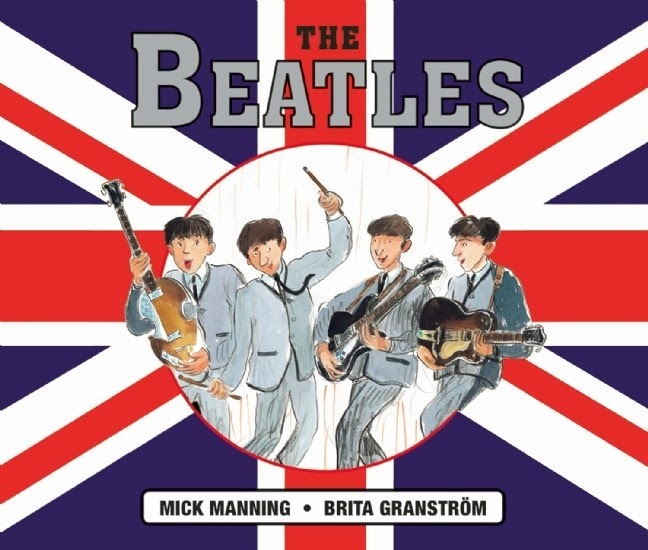 They capture the energy and enthusiasm of the Beatles and provide plenty of information, all in a way that's very accessible to kids in 3rd through 5th grade. While I haven't read this book in detail yet, it looks like they strike just the right balance -- never overwhelming kids with too much information, but also not talking down to kids. I'm new to their work, and will definitely be watching out for more by this British pair. Truly, it's a magical moment when friends get excited about sharing books. This happens in the school library all the time. I hope you're able to find a bit of this magic over the summer. Today, I'd like to celebrate the 10th anniversary of the Schneider Family Book Award. Each year, three books are honored for their artistic expression of the disability experience for child and adolescent audiences. If you're interested in a free giveaway and other blogs celebrating this anniversary, make sure to read to the bottom. One of the reasons I love awards is discovering new books that I might have overlooked. I had ordered A Dog Called Homeless (2013 winner) for my library, but hadn't taken the time to read it yet. So in honor of the tenth anniversary, I chose to read a book I thought would appeal to my students. I'm so glad I did -- this is a very special book that touched my heart in many ways. Cally has lost her mother, and her family is struggling to deal with all their grief. Her father doesn't seem to be able to talk about it at all, but that makes Cally feel that her mother is completely gone. A year after her mother's death, Cally starts seeing her mother everywhere. She knows that it isn't really her mother, but she can feel her mother there watching her. When her school holds a sponsored silence for a day to raise money for a local hospice, Cally reluctantly takes part. But she discovers that the silence is somehow a good reaction for her -- especially as she doesn't feel her father really listens to her anyway. During this silence, Cally meets a new friend Sam when she moves into a small apartment. As Sam's mother says, Sam is "eleven. He’s blind and mostly deaf, but otherwise he’s just like you and me.” Cally learns to talk with Sam silently, by spelling words in sign language into his hand. This friendship really touched my heart. Sam and Cally understood each other. They listened to each other and shared their feelings and thoughts. Sam encouraged Cally to talk to her mother, even silently through her thoughts. Here's a passage I found really powerful. The italics show Cally and her mother talking to each other through Cally's thoughts. People get things the wrong way around. I remember. Well, what you think is on the outside is in the middle. Like your name is my middle name. I felt her in the middle of me. That’s when I noticed my belly didn’t hurt anymore. I’d gotten so used to aching. I thought you were up in space or something. Why would I go so far away? Just because you can’t see me it doesn’t mean I’m not here with you. Cally was so lucky to have found Sam. Even though Cally insisted on not talking, she was able to connect with Sam. He could understand that just because you can't see someone, doesn't mean they aren't there. Cally discovers the power of watching, observing, noticing. 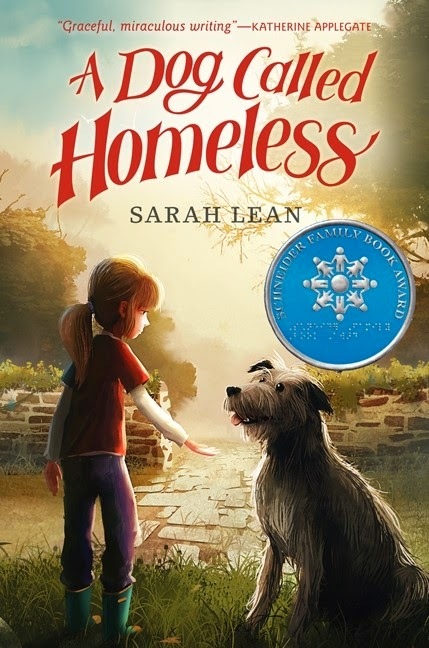 A Dog Called Homeless, like many of the Schneider Family Book Award winning books, would make a wonderful read aloud in a classroom or at home. It encourages kids to notice the people around you. Listen to them. Feel them. Don't expect everything to be right on the outside -- sometimes you have to look into the middle of something to find out what's really going on. In celebration of the 10th anniversary of the Schneider Family Book Award, you may enter to win a set of all 3 Schneider Family Book Award Winners from 2014. Participants must be 13 years or older and have a US or Canadian mailing address. Just enter in the Rafflecopter box below. My students are big-time fans of Babymouse & Squish comics, and they are super-excited by Comic Squad. Jennifer Holm lives in the Bay Area, and has been very supportive of schools and bookstores in the area. Recently she took some time to sit down with me to talk about her work. This interview originally ran in Parents Press, a local SF Bay Area newspaper I write a monthly column for. I wanted to share it here with readers beyond the Bay Area. 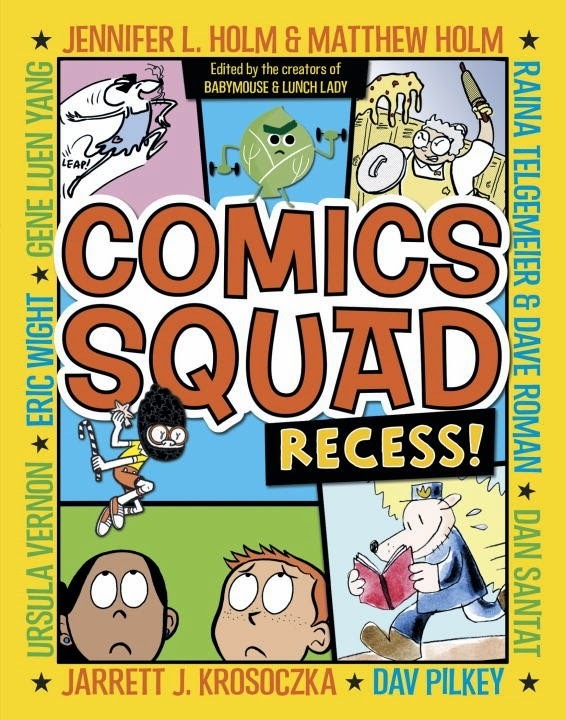 Mary Ann Scheuer: The kids at my school are going to just love Comics Squad: Recess -- seeing all their favorite comics characters in one place! Why do you think so many kids love to read comics? What makes them fun to read? Jennifer Holm: I’m so glad — I really think comics can hook some kids on reading. You know, we’re living in a visual society — with video games, the web, advertising, movies and TV. Comics are the ultimate visual storytelling treat. Did you know that graphic novels are one of the fastest growing categories in publishing and bookselling? MAS: I’m not surprised! They certainly are the most popular type of book in our school library. I worry that some parents think that reading graphic novels is really simple for kids, but that’s not true. How do you explain this to parents? JH: I think that comics teach you a lot of great reading skills like inference, character development, setting and plot structure. When Matt and I were kids, we loved collected volumes like Snoopy. It built our confidence as readers. I think that’s part of what’s so satisfying for kids -- getting immersed in the whole world of the story. MAS: What are you excited about with Comic Squad? JH: Kids aren’t growing up with newspapers the same way we did, so we want to provide the fun we had with Sunday comics. Comic Squad is the ultimate crossover comic, when all your favorite characters (and some new ones!) get together and have a party. We wanted to give kids a chance to visit with their old friends, but also to have some new fun. MAS: I love the page Mash-Up Madness and the goofy combinations you came up with. I see kids creating their own comics at school all the time! JH: I really think that teaching kids to doodle encourages kids to become storytellers. It makes them less scared about doing something perfectly. I love it when kids send us their own Babymouse and Squish comics! MAS: So what’s the difference between comics we read as kids and graphic novels kids are reading today? JH: We’re in a total renaissance of comics being created specifically for children. There’s more creative work happening with children’s comics in terms of style, story and genre than ever before. MAS: What resources do you recommend for parents who want to find graphic novels their kids will want to read? 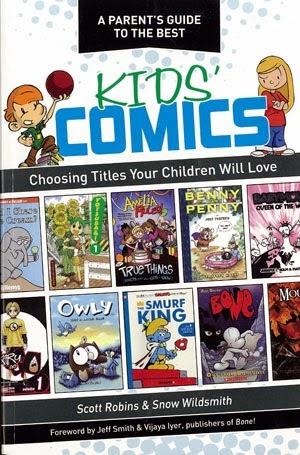 A Parent’s Guide to the Best Kids’ Comics: Choosing Titles Your Children Will Love, by Scott Robins and Snow Wildsmith, has great suggestions arranged by grade level (kindergarten through middle school). For reviews of the most recent comics, I definitely recommend the site No Flying No Tights. It has a section specifically on comics for kids. The Comic Book Legal Defense Fund has a publication called “Raising a Reader: How Comics & Graphic Novels Can Help Your Kids Love to Read!” that goes into detail about what graphic novels offer kids, both in terms of entertainment but also reading development. MAS: Do you have any new projects that you’re excited about? Can you give us a sneak peak? 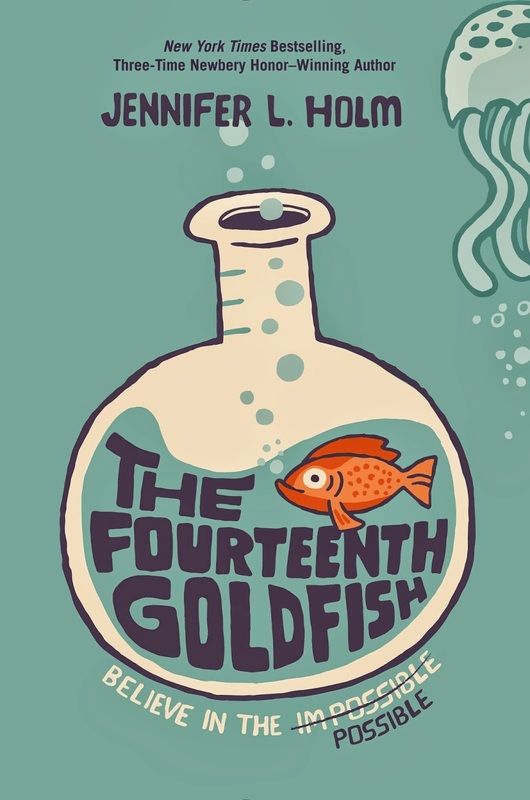 JH: I’m really excited about my newest novel, The Fourteenth Goldfish, which comes out next month. It’s set in the Bay Area and combines my love of science and stories, families and friendships. Thanks so much to Jenni Holm for sharing her time and thoughts. She gives so much to kids -- we are all lucky to have her books in our lives, our libraries and especially our kids' hands. The surest way to make my kids happy? Invite all their friends over to play, give them pizza & ice cream, and let them do whatever they want to do. The next best thing? Bring them the newest comic book that's got stories from all their favorite authors. Kids I've talked to are super excited about Comics Squad, a new collection of short stories edited by the creators of Babymouse, Squish & Lunch Lady. Heck, the school librarians I know are super excited about this, too! Kids don’t need any convincing that recess is the best time of the day, but they’ll have a blast celebrating it with some of the favorite characters. 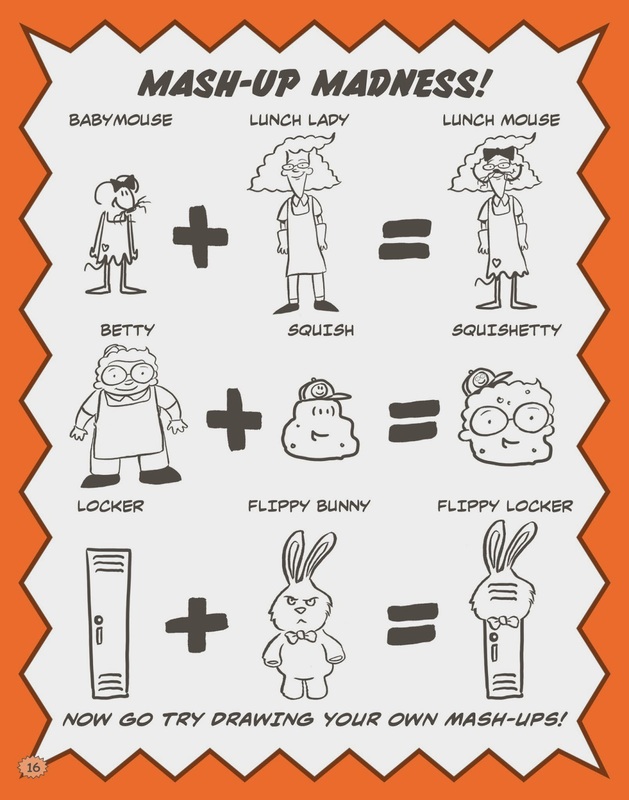 This anthology features eight short comics, some featuring favorite characters like Babymouse and Lunch Lady, and others introducing new characters. I love listening to kids make connections between the comics they read here and others that they know. One 10 year old thought "300 Words" was hilarious and asked, "Is Dan Santat the guy who wrote Sidekicks?" Yep -- she was totally right. Many kids have a much deeper knowledge of graphic novels as a body of work than teachers and librarians. They recognize the visual styles of artists they love. They'll spot Raina Telgemeier's comic in here right away. This collection not only will appeal to kids who get a chance to visit their favorite characters like Babymouse and Lunch Lady. It makes them feel part of this larger phenomenon -- graphic novels for kids. Watch this terrific trailer and you'll get a sense of just how much fun these comics creators have had putting this together. I also really enjoyed reading Jarrett Krosoczka's post in the Nerdy Book Club about how Comics Squad developed as a project between friends and colleagues. A must have for our school library! The review copy was kindly sent by the publishers, Random House Books. If you make a purchase using the Amazon links on this site, a small portion goes to Great Kid Books. Thank you for your support. Paddington Bear holds a special place in our hearts, as a small bear who travels to a far away place in search of a home. Our family was very excited to see that he's coming to the big screen this winter in a new film. 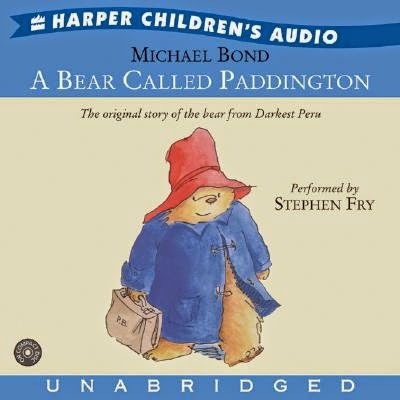 We are listening to the audiobook again, laughing at this sweet, silly bear's adventures, and looking forward to the new movie. 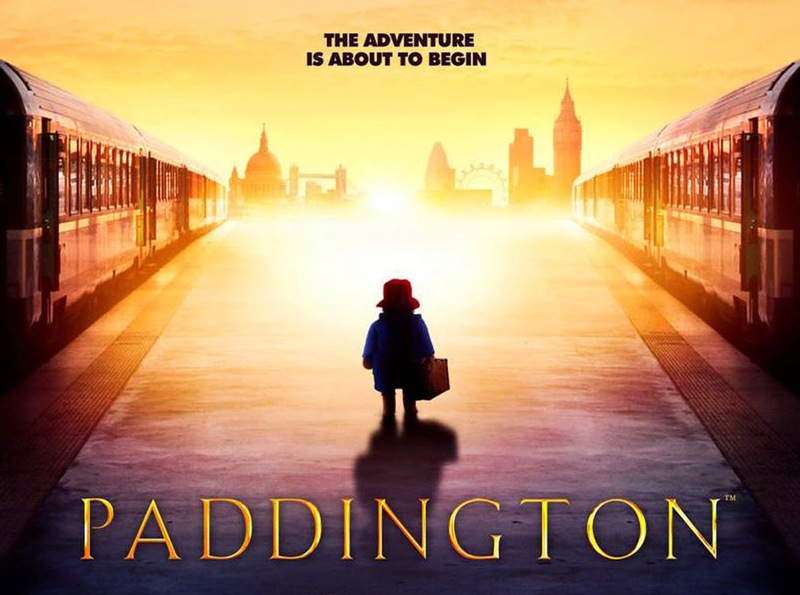 One fateful afternoon, the Brown family meets a small bear in Paddington Station, London. He had traveled all the way from Darkest Peru as a stowaway, with a sign around his neck reading "Please look after this bear. Thank you." Mrs. Brown insists that they invite him to stay in their home, just for a while -- and what adventures they have! I wonder which version our family will enjoy more. Stephen Fry narrates the audiobook using a stately English accent -- "earnestly well-meaning" as the AudioFile review calls him. Will kids like it? Oh yes. For fun, you might want to browse through the beginning of the movie website. My hope is that families also read the original story aloud or listen to the audiobook. HarperCollins is rereleasing the original novel, along with many movie tie-ins. 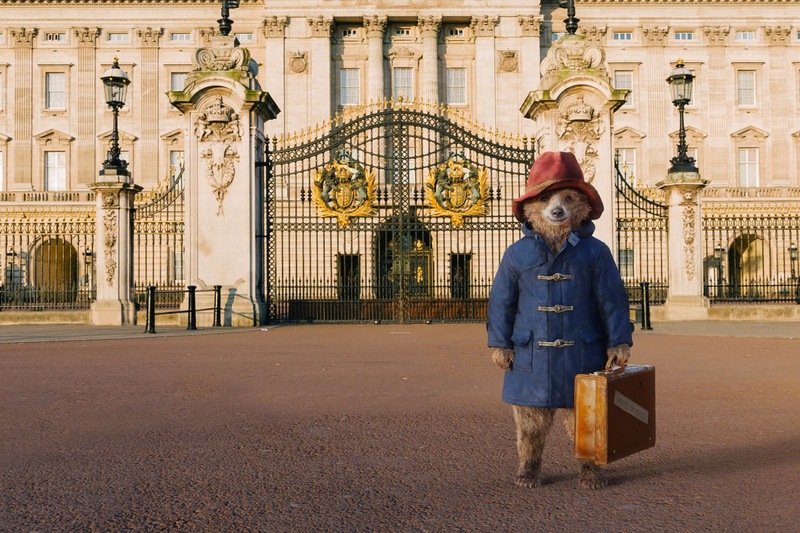 Thanks to Big Honcho Media for bringing the Paddington Movie to my attention. I'm always excited to see how popular culture might bring families back to reading classic children's stories we have enjoyed. If you make a purchase using the Amazon links on this site, a small portion goes to Great Kid Books. Thank you for your support. Do your kids love graphic novels? I know many parents tear their hair out worrying that their kids will only read comic books and graphic novels. But please, please believe me that these books can really feed a child's imagination. They draw us in, asking the reader to be much more actively involved in creating the story than a movie does. 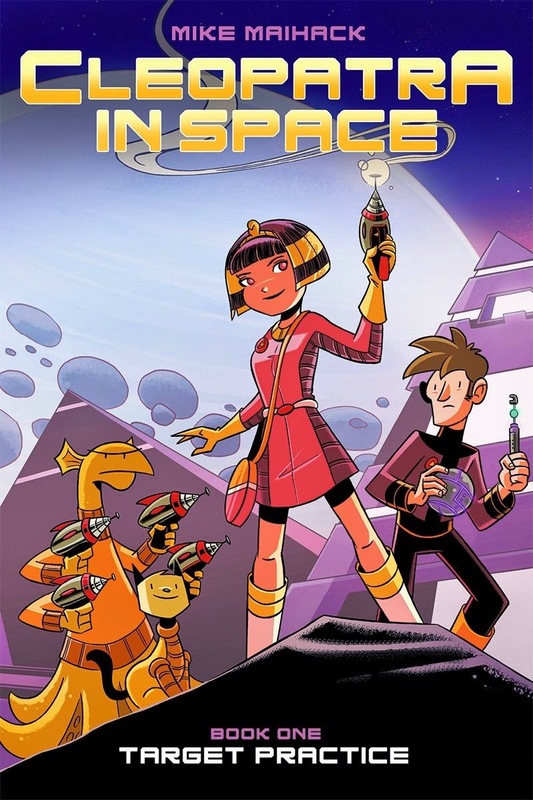 One of my students' new favorite graphic novels is Cleopatra in Space: Target Practice. Hand this to fans of Amulet and Zita the Spacegirl. 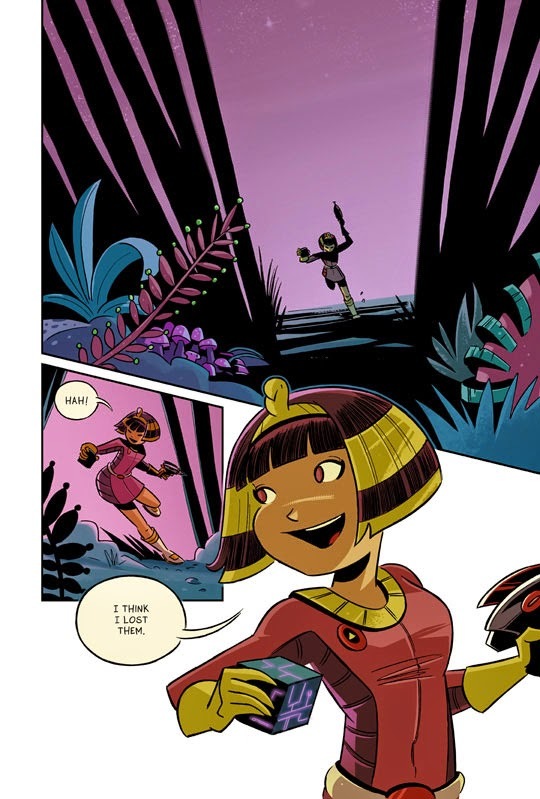 This fun mash-up between ancient Egypt and outer space features a young Cleopatra who’s more interested in combat training than algebra lessons. Cleo is zapped into the future by a mysterious tablet and learns that an ancient prophecy declares that she is destined to save the galaxy from the tyrannical rule of the evil Xaius Octavian. Maihack pulls in readers with his colorful artwork, charming heroine and plenty of action. I especially love Cleo's spunky, fearless character. Just look at Maihack's use of color, angles and expression. "A must for fans of Zita the Spacegirl and Astronaut Academy. A must for those who want books with strong girl characters to offer young readers of any gender, and, Cleo being brown girl of ancient Egypt, a great diverse read!" You can also check out the Kirkus Reviews and SLJ's Good Comics for Kids review. I know kids at our school can't wait for the next in this fun new series! The review copy was kindly sent by the publishers, Graphix / Scholastics Books. If you make a purchase using the Amazon links on this site, a small portion goes to Great Kid Books. Thank you for your support. I ardently believe that librarians can help develop engaged, passionate readers, much more so than scripted reading programs or dry textbooks. Moreover, I believe that librarians can contribute an essential perspective to the change toward implementing the Common Core State Standards. I have been thrilled to collaborate with four amazing colleagues from across the country to develop these ideas and share our expertise. Below you'll find the introduction to our presentation at ALA, the American Library Association, and then the slides from our presentation. There are many criticisms launched at the Common Core standards, ranging from concerns with the speed of implementation to issues surrounding the assessment of students and teachers. Yes, each of us has our concerns, that’s for sure. But we also know that this is our reality. Our schools are implementing these standards and so we want to try to have a positive attitude. The glass is half full. We must be part of the conversation and look at how our expertise helps teachers engage students with nonfiction, develop their reading skills, and deepen their critical thinking. Districts and policy makers are going forward with the Common Core. We can either jump on board and take part in the conversation, influencing it in a way that will be good for kids, or we can stay on the sidelines and watch it go by. Above all else, we want to make reading nonfiction fun, exciting and interesting for students. 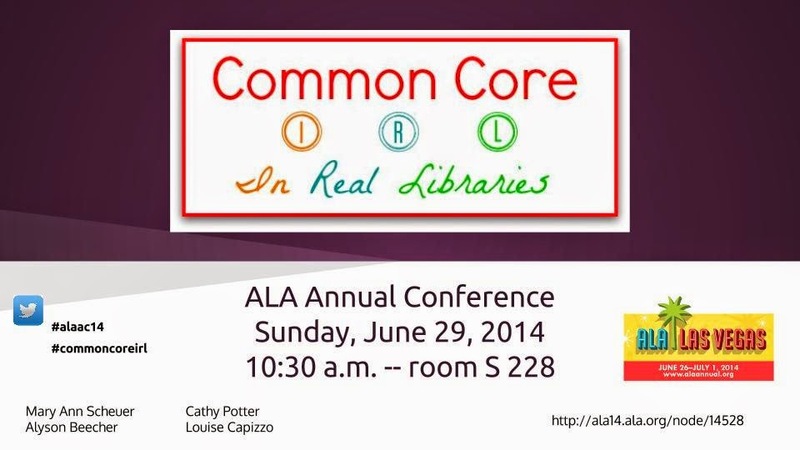 Below is the presentation we made at ALA. I loved developing this presentation my colleages, and can't wait to continue developing our body of work. We would love to hear thoughts and questions you have. Please share this presentation online with friends and colleagues. Let us know if you have any questions at all. Please share our slides and PDFs with colleagues and friends. Let us know if you have any questions. We look forward to continuing our collaboration through the school hear.